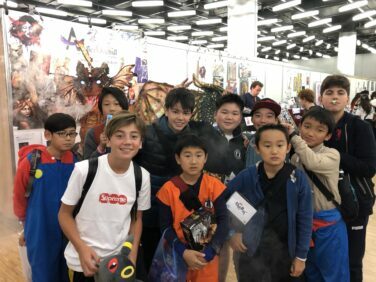 As a warm up to the Basel Comic-Con trip in May 2019, ten Junior school students took the opportunity to attend the Japan Cosplay event this weekend at the Palexpo in Geneva. After putting on our costumes, we arrived and were surrounded by various other anime and manga fans in their finest cosplay. We spent the day investigating the different computer games, board games, martial arts displays, dance shows, artists, Japanese food and stalls. We had lots of fun, experienced Japanese culture and made sure we bought souvenirs and enough snacks to keep us going. 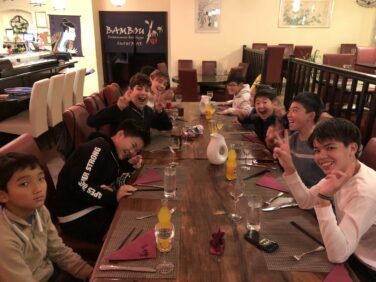 To continue the theme we stopped at an Asian restaurant on our journey home and made sure we filled our bellies with enough sushi to get us back to school. Aiglon's weekend programmes contain a variety of activities and adventures. From high expeditions to social outings and everything in between, we take advantage of our close proximity to several large cities for all kinds of fun and interesting events! 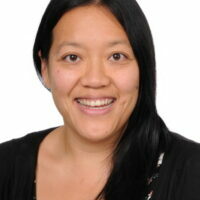 Ms Kan is head of Aiglon's Learning Support Department as well as Deputy Designated Safeguarding Lead. She and her team provide specialist teaching to support students with a variety of learning difficulties, through individualised intervention and personalised targets. In addition to her other roles, Ms Kan also works as a tutor in the Junior School. She enjoys the more casual time in house with the students and is always planning fun adventures to events like Comic-Con!